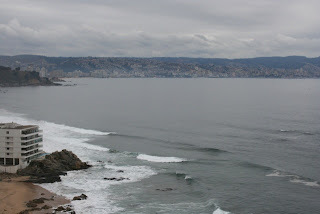 This past week was my first week in Viña del Mar and Valparaiso. 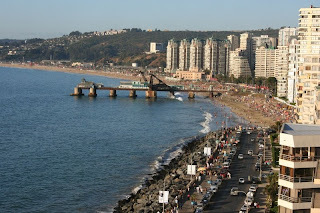 I live in Viña with a family but go to school in Valpo. They are very close to each other but very different. 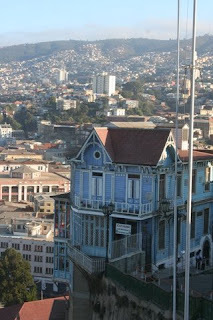 Viña is more modern and touristy looking, while Valpo is more colonial and colorful-looking. I like being able to experience both because they are really different from each other. Along with tours and school orientation meetings/business, I have been trying to adjust to a new culture. It’s really hard for me to talk in Spanish here. I feel as though I have forgotten everything I’ve learned and all that I have learned is invalid. They speak super fast here and drop the ends of half the words in their sentences. Half the struggle is trying to understand what they are saying… then how to reply in Spanish. Hopefully it will get better and my Spanish can only improve at this point. 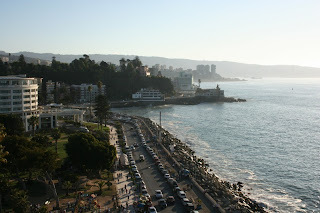 We toured Valpo and Viña in order to get to know the cities. 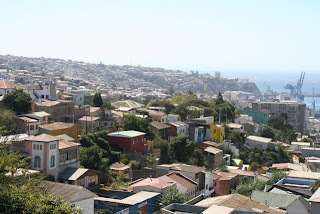 We toured downtown both cities, took a boat ride in Valpo, visited several different beaches/piers, Pablo Neruda’s house (second of three), and the Mueseo a Cielo Abierto (Open Sky Museum). 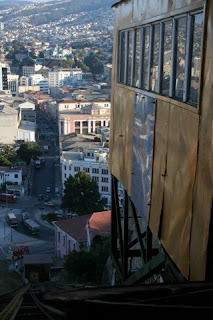 All excursions were very interesting but were rushed so I hope to go back to the places on my own time. This last week we also registered for classes, which is another story in itself. I don’t think they could have made it any more harder for us and before it was over, I think we all wanted to cry. We are restricted by the classes we can take but they also had put them back-to-back, as well as overlapping them all. So, there was not a lot of flexibility to schedule and not to mention, the campus buildings are scattered all over Valpo and Viña so you have to allow time in between classes to get from one building to another by bus. Since I am volunteering, I plan to only take 3 classes (still 14 credits) and tried to schedule them so they were all in the same building or at least directly next to each other. We start classes tomorrow (Monday). Wish me luck as I try to find my way around carrying a Spanish dictionary….